Looking for a romantic gift idea to wow and woo your sweetheart? 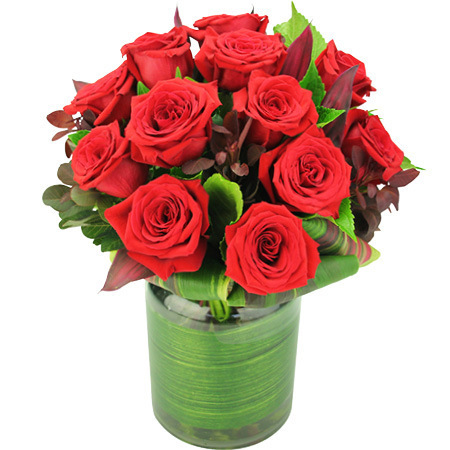 Our classic vase of red roses is the perfect way to say `I Love You` to that special someone. Arranged in a 25cm glass vase are 12 long stem red roses mixed with tropical greenery, ready to beautify a home or office. Our magnificent 50cm length Colombian rose stems really know how to put on a show! Plus delivering roses in a vase makes it very convenient for the recipient - no need to worry about whether they have the perfect vase to display their beautiful flowers in. 2019-02-21 The flowers were exactly what the photo showed, beautiful. The promise of same day delivery was also met. What more can a customer ask for!! Well done!